A short post, after a longer hiatus. I shan't make too many apologies, other than to say I should have posted more often, but we were having far too many adventures! Right now, I'm en route to Gatwick Airport, for a flight to Italy. 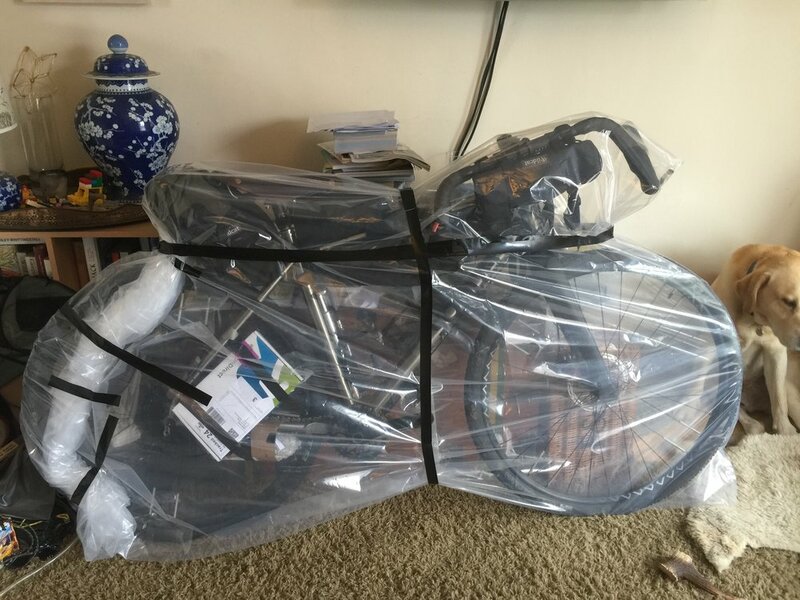 My bike is packed into a very fragile looking see-through bag (allegedly it makes baggage handlers less prone to heaving it about, but we shall see) and I am on my way to the starting line of the Torino-Nice Rally. 700km of road, gravel track, military strada and goat path. 30km of tortuous, hairpin-turned, gruelling vertical ascent, and a glorious equivalence of downhill swoopiness. The Rally isn’t a race, it’s more of an self-supported adventure on bikes. A mixed bag of terrain from Tarmac to gravel, to challenging off-road. And a mixed bag of riders, from athletes and industry professionals to complete amateurs like myself (well at least one complete amateur). I'm prepped, packed, and arriving at the airport - wish me luck! A few weeks ago, we climbed a mountain. Well, a hill. But a superbly steep, and rather lovely hill. Invinghoe Beacon rises sharply from the pretty green fields and villages at the north eastern edge of the Chilterns, and offers deeply satisfying views north over the "plains" of Buckinghamshire and Bedfordshire, east to Dunstable Down and the White Lion of Whispsdade, and south west to Wendover and the masses ranks of the other Chilterns Hills. It marks the northern end of the Ridgeway, a high path that, predictably enough, follows a long ridge of chalk and clay, all the way from the Wiltshire towns of Marlborough and Swindon. 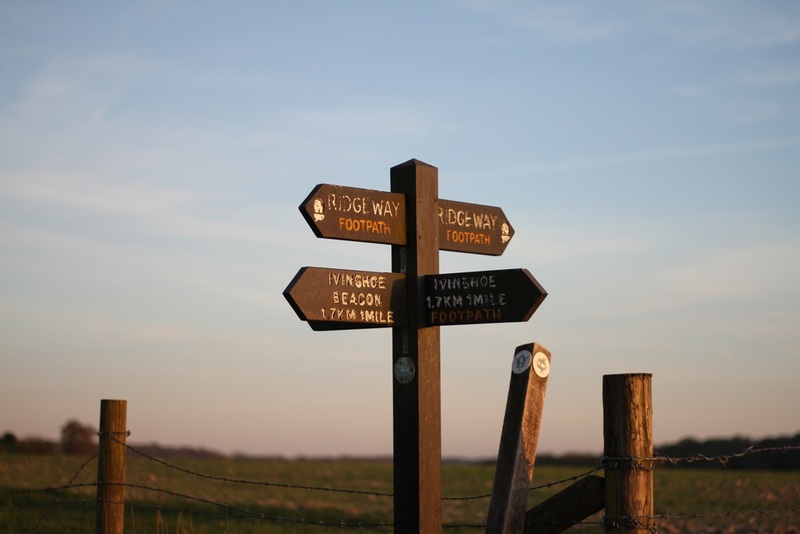 The ridge itself is bisected by the Thames valley, but the path continues and picks up the ridge again as it rises through the Chilterns to finish at Ivinghoe. To the more intrepid traveller, it offers a beautiful long distance walk, and also makes for a great overnight bikepacking route but, for today, the goal was simple - Climb the Mountain! Since Elizabethan times, Ivinghoe Beacon has been the end of a long chain of beacon fires, running up from the south west coast. These were lit, historically, in times of need to bring news of war, danger, or success up from the sea over hundreds of miles, far faster than messengers on horseback could ride. Our Queen Elizabeth had in fact lit a beacon the week previously, to celebrate her birthday, and so it was that a beacon formed the kernel of our weekend #dadventure. That morning, Hector and I were planning a birthday treat for Henry, about to turn the almost incomprehensibly mature age of 6. Hector (H2): "I know: let's take him to Camp Bestival, like we did for my birthday?" Daddy: "Sorry, Hec, that's in the summer - the festival's not on this weekend." H2: "Ok, I've got it, shall we go to Morocco and find rattlesnakes?" D: "I love the enthusiasm, but it's a bit far for the weekend, I'm afraid, buddy. His birthday party's on Sunday, so we do need to get back for that. Anyway, I think it'd be more fun to do something local, don't you?" H2: "Oh my goodness, I've got it! (Much bouncing up and down on his bottom, as he physically became unable to sit still) He'll love it... Let's go for a campout!" It's moments like these when pride almost overwhelms me, and I'm tempted to just retire - "and my work here is done"... But then I realise that a burgeoning enthusiasm for the outdoors at age 4 remains a delicate thing. And that without care and attention, it may not survive till double digits (or even till Henry's imminent maturity of 6) but hey, you take your pleasure where you can find it! And so it was that we re-ordered the present opening schedule slightly, bringing forward the unveiling of the "big-boy rucksack" from Granny (gear review to follow, but a lovely kid-friendly Osprey from Cotswold Outdoor which I'm hoping will last a good long while), the warm mid-layer from Aunty Fi, and the grand extravaganza that was a (distinctly budget) star-spotting telescope from Daddy. "Oh my goodness (incidentally, this does seem to have become a bit of a thing recently - I blame Enid Blyton) these will be amazing on our campout, Daddy, isn't that lucky?!" We armed ourselves with shopping bags, and headed into St Albans' Saturday market to forage for provisions (cheese, ham, bread, and chocolate featuring heavily), we packed our adventure packs, loaded the car, and made our way west, winding up into the hills, past Whipsnade Zoo, and on to the crest of Dunstable Down. There, we caught our first sight of the summit of "our mountain". We parked at the foot of the hill, across a cattle grid, up against a cloud of gorse in bloom, and unloaded dogs and day packs, filled with snacks, water and other emergency supplies (teddy bear, book, binoculars, the usual), and then set off intrepidly, bounding up the grassy approach slope, and advancing to the mountain proper. The first major find of the day wasn't long into the ascent - fossils! Or rather, large numbers of strangely dessicated snails, either dead or dormant (please comment if you know which, as I suffered from a minor gap in Dad-wisdom, and really couldn't tell why there would be such widespread snailmageddon on this particular slope..?) Nonetheless, it was fascinating to the boys. Magnifying glasses appeared; pockets were filled; and prophecies were made of snail shells in strange places throughout the house, that will surely come to pass. The gradient kicked in soon, and with a viciousness seldom seen outside of a cake-fuelled soft-play birthday party. This was *steep*. Thirty seven years of physical enthusiasm but a casual approach to physical maintenance has left me strong of mind, but weak of knee, and anything over 45 degrees' incline tends to lead to raised eyebrows and temperature. I looked over to the boys, who'd taken a parallel path to me. Chatting as they went, they were nonetheless taking it seriously. Using the thumb sticks I'd cut for them, more or less as Mallory might have used an ice-axe on a frozen Everest summit attempt, they dug in, leaned forward, and took it step by step. They were working as a team, leaving no man behind, and when Henry noticed that Hector flagging he told him to take a seat, and began proffering "rations". Watered and fed (including to Hector's major delight peanut butter a Cliff bar left over from a solo #dadventure of my own), they resumed the climb. Foot by aching foot they climbed. With nary a grumble nor a word of complaint, they toiled. With eyes fixed either on the summit, or on their feet, step by step, they 'ate their elephant' one bite at a time. And the view from the summit? Well, you'll have to climb it yourself to find out! We slept the sleep of the righteous (and marshmallow-filled) that night. What #dadventures have you been up to? And what do you have planned? The boys would like to find out - please let us know in the comments below.